Mary's daily inspirational emails are the perfect tool for staying on the cutting edge of the life you want. We're so glad you made it! We know the dream-building journey can be an amazing ride filled with big climbs, screaming fast drops, tight turns, and loop-d-loops. Ah yes, the joy of dream building. However, we know there can be hair-pulling, squeamish, teary-eyed moments too, right? It's in moments like those when it's nice to know you're not alone, and sometimes a simple word of encouragement can make all the difference. 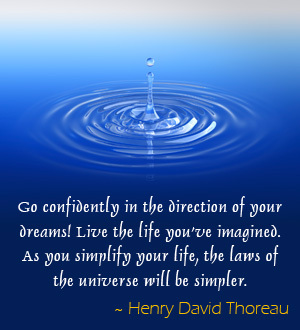 Simply enter your info here and begin receiving your FREE Daily DreamBuilder™ emails today! Please note: By opting in to Mary's Daily DreamBuilder™ messages you agree to receive information about Mary Morrissey's upcoming events, products, and related announcements.